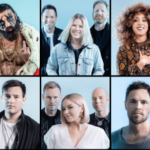 The Norwegian national broadcaster, ΝRK, has decided to introduce 5 semi final rounds in next year’s national selection , Melodi Grand Prix (MGP) 2020. MGP, is the traditional national selection format through which Norway has been selecting its Eurovision representative each year. Next year the competition will reach its 60 years of existence. NRK decided to increase the total shows to six by including 5 semi final shows alongside with the grand final. All six shows will take place in Oslo and will feature contestants from the country’s five regions (Northern-Central- Easten-Western and southern Norway). Significant will be the public’s vote for determining the finlists while a jury will have the right to select 5 more acts. A total of 10 acts will reach the final of MGP 2020 and the winner and next Eurovision representative will be determined by the public voting exclusively. 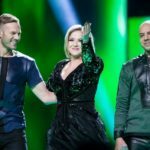 As the national broadcaster has already opened the submission window for MGP 2020 , composer and acts interested in representing Norway in Eurovision 2020 have to apply until May 17. 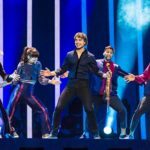 Norway debuted in Eurovision in 1960 and has three victories so far, in 1985 (Bobbysocks), 1995 (Secret Garden) and in 2009 (Alexander Rybak). The country holds significant records in the competition, as it is the country with the most last placings, specifically 11 times. Four time has ended with -0- points whole in 2009 when it won the contest , Rybak received 16 times 12 points and was awarded with point by all countries reaching the amazing score of 387 points. This year the group KEiiNO won MGP 2019 and will represent the country with the song “Spirit in the Sky” which we will see in the 2nd semi final on May 16.